The UK's leading distributor of showering, hand washing, bathing equipment and accessories - supplying quality and service. This is where we will provide our latest special offers. 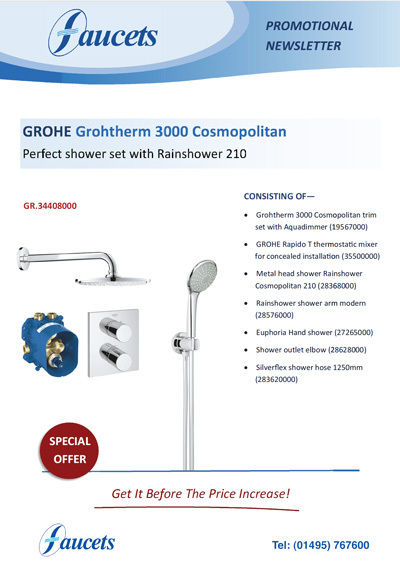 Current offers include selected products from Grohe, Kohler and Mira. There appears to be a temporary issue with some configurations of the Firefox browser and pdf viewing. Either try viewing in another browser, Chrome, Internet Explorer or when using Firefox, right click on the link, select "Save Link As..." and save it to your computer. Open your copy of the file. Adobe Reader required for the above documents.